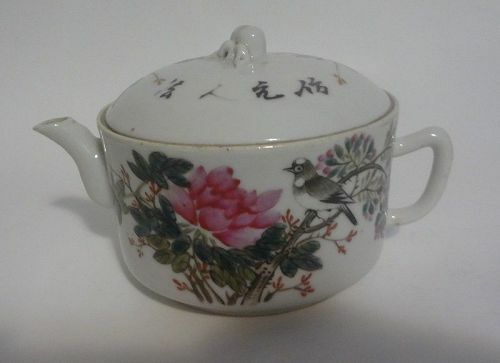 Antique Chinese famille rose teapot, late Qing or republic. 6" length, good condition. 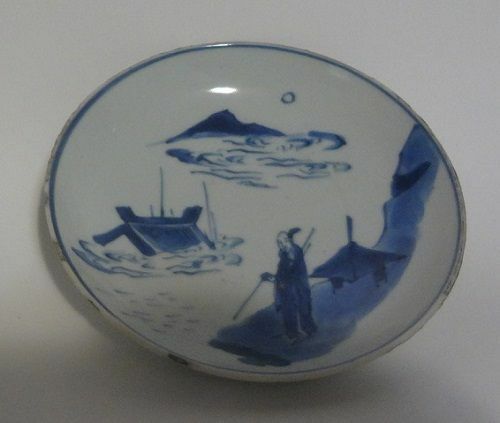 Chinese longquan high foot dish, dated to Yuan or Ming dynasty. 7" height, with old repairs. 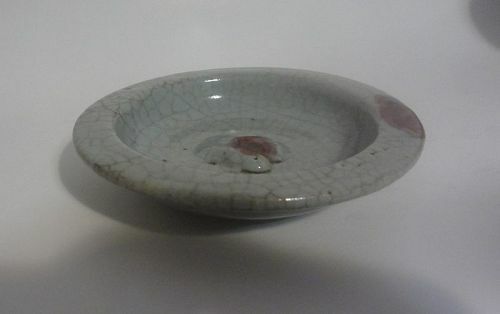 Antique Chinese Jun type porcelain dish, possibly Ming. 6" across and the condition is good. 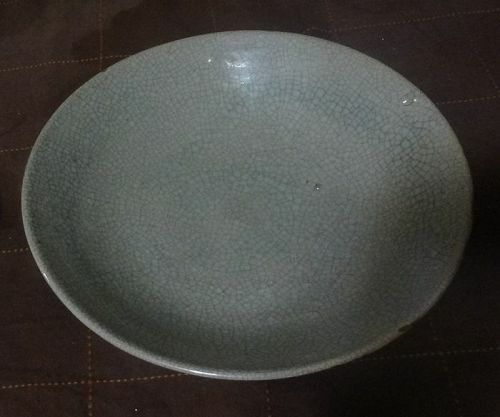 Chinese longquan celadon bowl, dated to Ming dynasty. 6" across. Condition is good but with two small repairs on the rim. 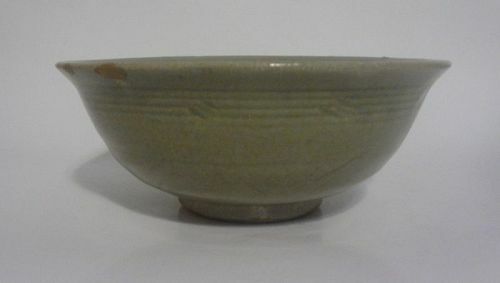 Thinly potted Chinse Qingbai porcelain bowl, probably Song dynasty. 7" across. Good condition overall with just a fire line in the interior. 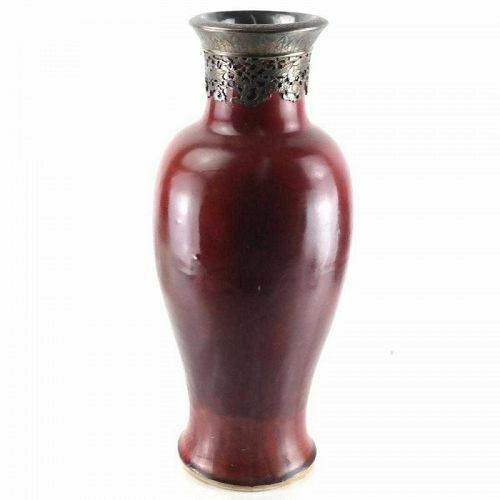 Antique Chinese porcelain vase, late Qing or republic, 12" height, good condition. 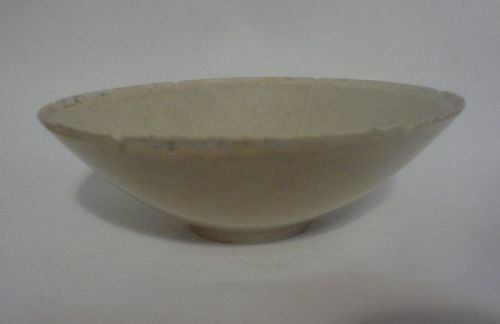 A white glazed Chinese porcelain bowl, probably Ming dynasty, 8" across, with a tight 1.5" hairline; a Chinese Longquan flower shape porcelain bowl, likely Ming, 4" opening, good condition; Chinese Ge type porcelain censer, possibly Qing, 4.5" opening, good condition; antique Korean porcelain bowl with silver rim, 5" opening, good condition. Could be sold as a group or individually. 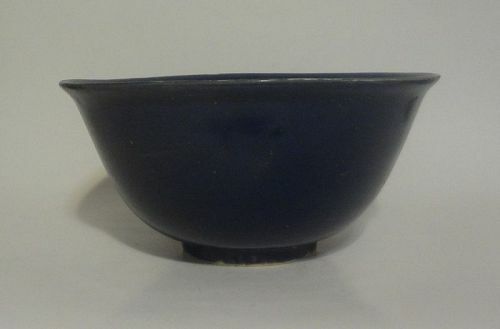 Rare bowl with ritual blue glaze both inside and outside, late Ming, 7.5" across, good condition overall. Antique Chinese taste famille rose porcelain plates, late Qing. Size: 6" each. Condition: left one has a 2" tight hairline, the other is good. 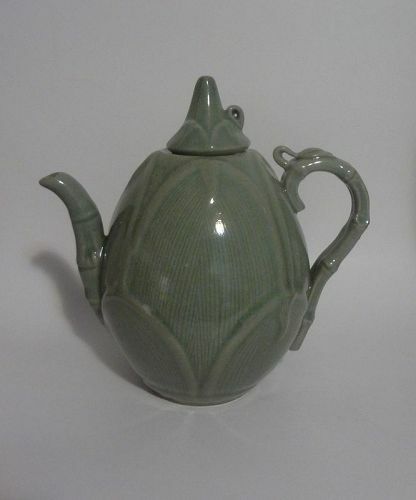 A nice Chinese porcelain teapot, Qing dynasty. Size: 8" tall. Condition: good. Antique Chinese blue and white porcelain plate, late Ming. Size: 6" across. 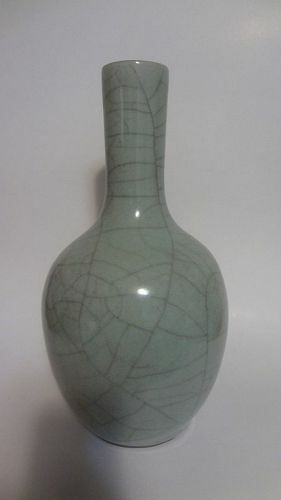 A rare Chinese Langyao vase, 18th century. Size: 17" height. Condition: heavily restored: rim with later metal cover; it should have broken into several pieced and glued together covered with repaint. More pictures upon request. Please serious inquiry only. 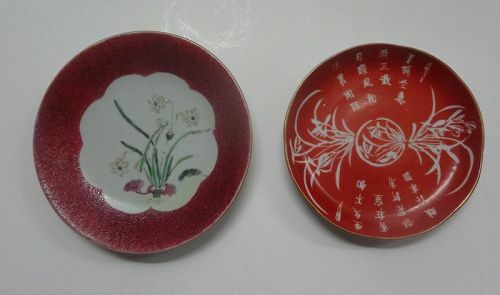 Antique Chinese ge-style porcelain plate. Size: 30cm across. Condition: good. 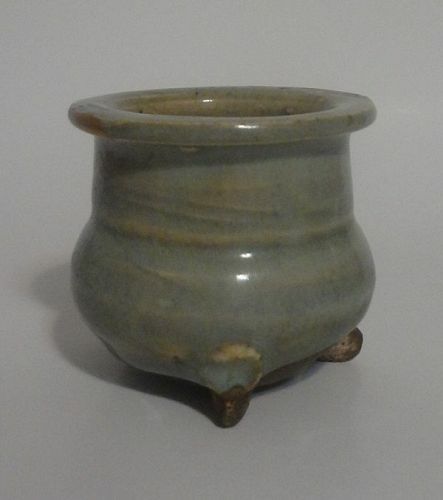 An attractive Yuan Jun-style porcelain censer. Height: 6.5cm. Condition: old repairs. 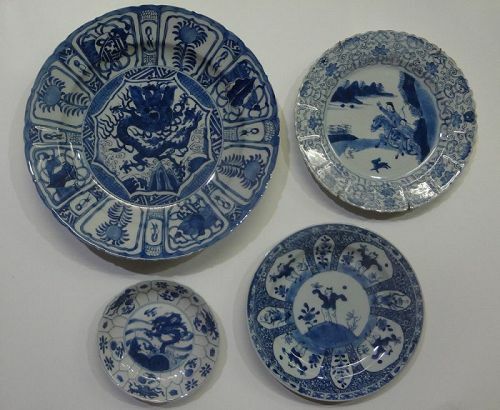 Large Kraak style plate, small dragon plate, hunting scene plate, and children plate. 12.5", 6", 9", and 8.75" across respectively. More pictures upon request. 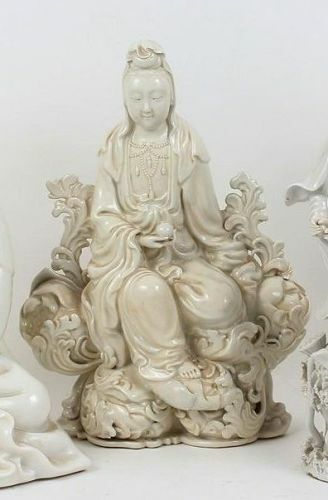 Antique Chinese porcelain Guanyin, 11" height, with broken fingers and several cracks. 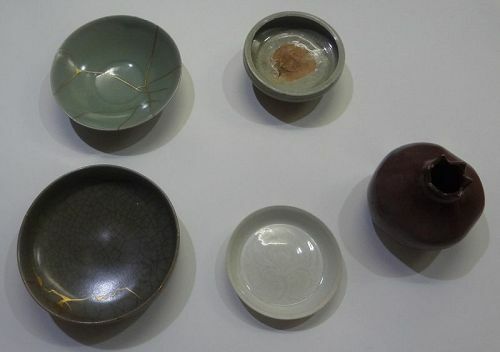 long quan type censer, long quan type bowl, long quan type washer, qing bai washer, and pomegranate shape vase. Qing dynasty or earlier. 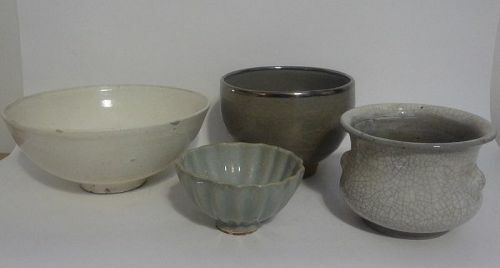 Size: censer 5" across, qing bai washer 5" across, long quan washer 6.75", long quan bowl 6.25", vase 4.25" height. 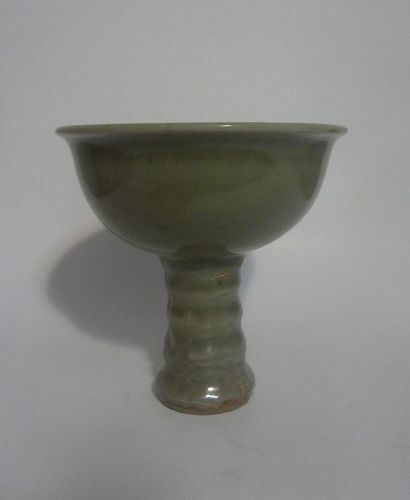 Condition: the censer has repairs on one leg and in the interior; the long quan bowl and washer have Kintsugi repairs; others are in good condition. Can be sold as a group or individually. More pictures upon request. 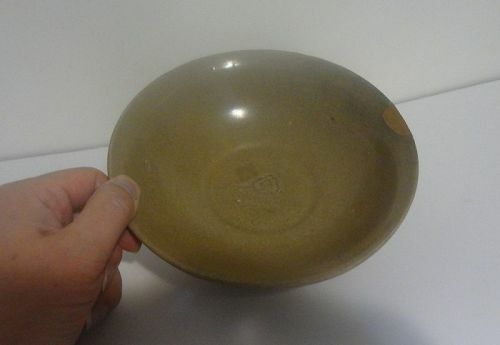 Chinese Song or Yuan golden long quan bowl, 6.5" across.